Last week–not just last Monday–was so manic, I completely forgot writing at all. The blog did not get blogged. The novel did not get written. 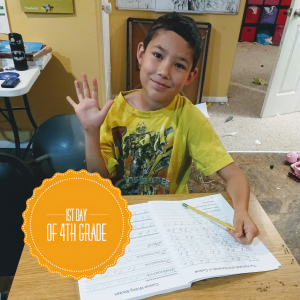 Today, we started our homeschool year, which means that last week we had to, I mean really had to, declutter and organize the homeschooling room. I don’t know about anyone else, but organizing and decluttering is a whole-brain, all-consuming task. Not much else made it into the brain cells. Yes, I had all summer to do it. Yes, I procrastinated. It’s that time of year again. 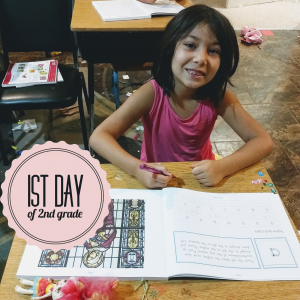 We dust off the school books and start our homeschool year. This is one of the big years, meaning, I’m adding a student. I’m now up to 4 students, one each in kindergarten, 2nd grade, 4th grade, and 6th grade. Sometimes, I look back at 9 years of teaching public middle school and wonder how I juggled 120 students a day when 4 students can take up so much time. I had a plan for it though. Curlytop, the kindergartner, is usually the first child up. I hoped he and I would get up at 7 and finish all his curriculum before the three bigger ones were ready. 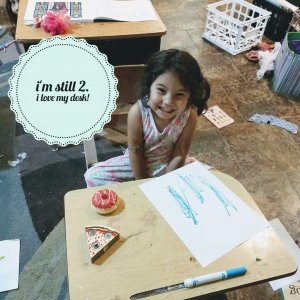 Homeschooling kindergarten has never taken more than an hour. For the first time in 3 months, Curlytop slept till 8:30. (Take a minute. Laugh. It’s good for you.) My students, all of them, dribbled downstairs to their desks about 9ish. 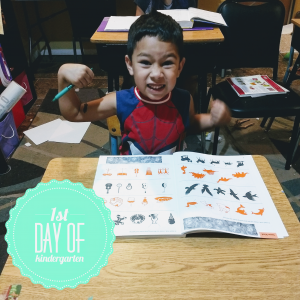 It’s the first day of Kindergarten, so of course Curlytop is the Hulk for the picture. 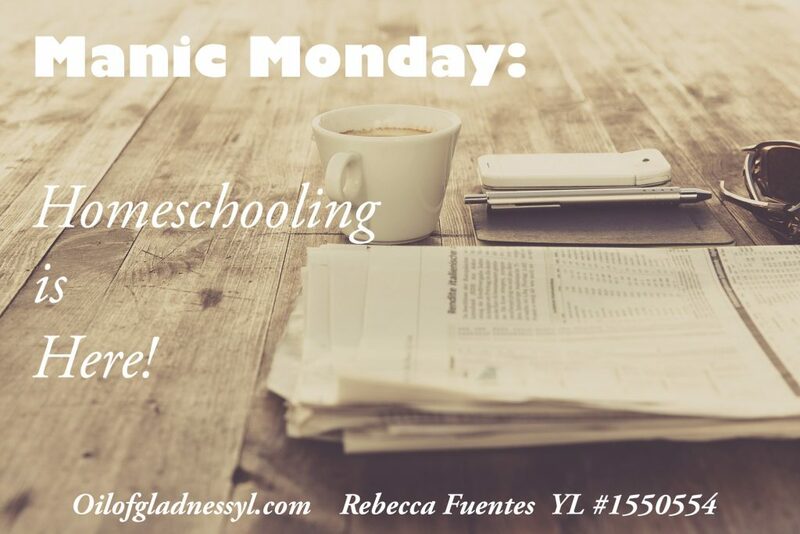 When I first started considering homeschooling, I actually went and sat in on part of a day with a homeschooling friend. I could not picture what it looked like. I’d spent 4 years learning how to be a teacher. I’d spent the next 9 years actually teaching. Despite that, or maybe because of it, I had a terrible time envisioning homeschooling. I wanted to, though. Public school was not working for my stepdaughter (some of that was self-inflicted, but I was also encountering problems with her high school). Teaching public school was draining the life and love of teaching out of me. Miss Bug is reading this year. It’s such a huge milestone when they start to read independently. The Engineer is pretty sure he’s going to ace this year, especially science. There is a pleasure in sharing knowledge that doesn’t come from anything else. When connections are made, light bulbs come on, and something said weeks ago shows up in conversation today, I remember why teaching is worth it. I was worried about the Ballerina’s curriculum this year. Not about her ability to do it, but about the number of subjects and level of work. I view the middle school years as preparation for high school, so I felt we needed to step up this year.There is more writing, more independent reading, and more responsibility. She and I will both need to practice our time management skills. At least she has the excuse of being a pre-teen. If you’ve ever ordered a set curriculum from a company, you know how intimidating it can be. Her literature curriculum alone fills most of a 3″ binder! As I’ve looked through it, though, it’s more manageable than I first thought. After all, the literature curriculum includes upwards of 30 books, with full 4-8 week lesson plans for each one, but she’s not expected to read all 30 for school. Between us, we get to pick books from the 30 so we study 36 weeks of literature. 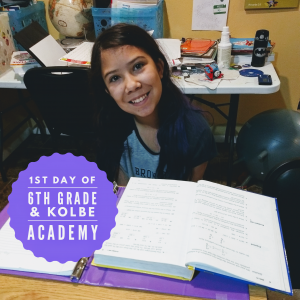 Her other subjects, except for math, are planned for 4 days of the week, leaving us leeway to choose a short day when we need to, or skip a subject when another one takes a bigger chunk of time. In many ways, it’s a relief to have everything laid out for me, with boxes to check off. I know we will have days when those check boxes feel unwelcome, though. The Ballerina is stepping up. She was intimidated by the amount of books and subjects, but after trying them, she thinks she’s got it. For the others, it’s soldiering on with all the basics. The flexibility of the day means I can work with one while the others work independently, and that they have built-in breaks. The goal of the year is have all of the Ballerina’s work laid out for her each morning so she can choose where to start and pace herself. Very few of her lessons need big chunks of time from me. She’s also very happy to sit down and help Curlytop with his kindergarten lessons. If we could convince Little Bird that really and truly, she can pee in the potty, I’d be almost completely optimistic about this year. Little Bird’s curriculum for the year is potty training. We’ll see how it feels after Christmas, when we start the second half with a new little sibling in the mix! Next Post Supplementing with Sulfur? Oh Yes!